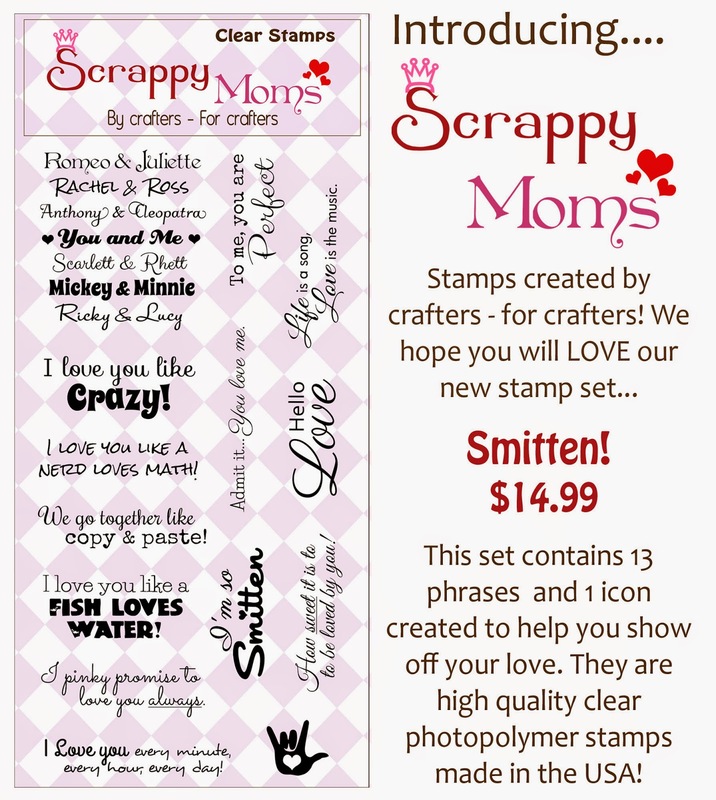 I have been wanting to try stamping on vellum and I thought this stamp from our new Smitten stamp set was a perfect chance. 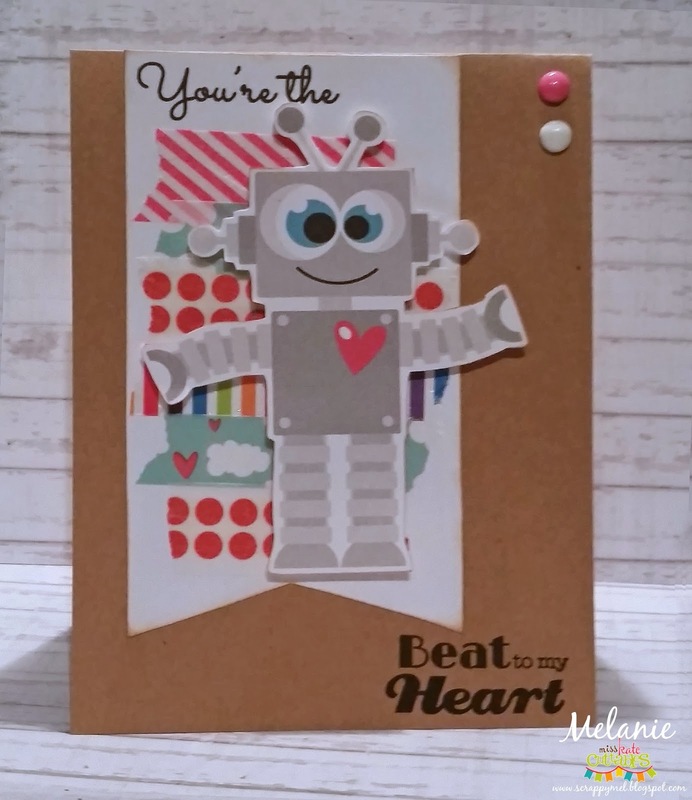 It's a simple card but I think it turned out cute! 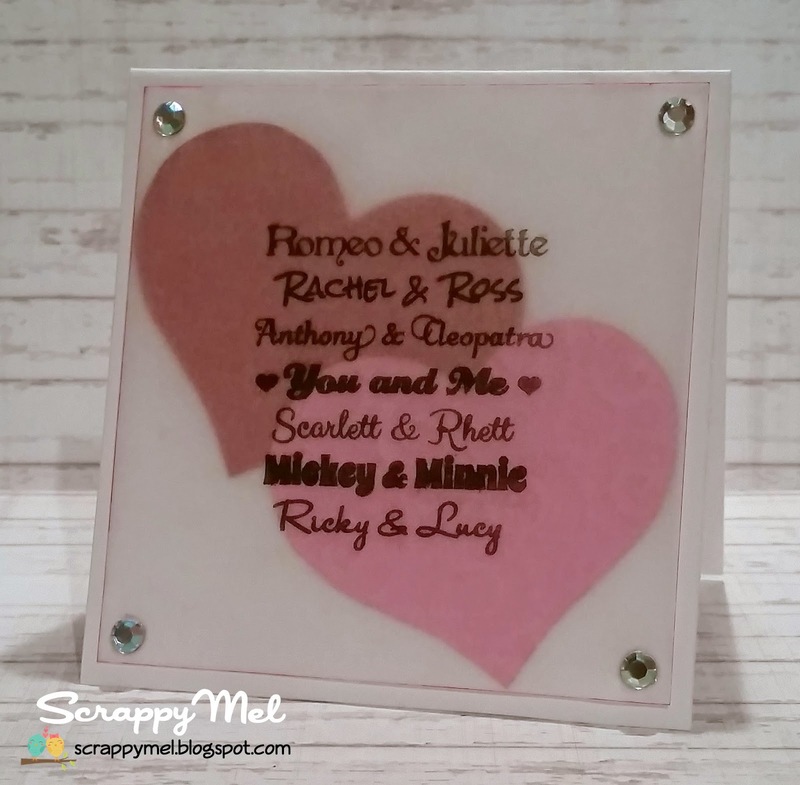 I cut 2 hearts and embossed on with a chevron design and one with swirls - it's hard to see the embossing under the vellum but it's there - I promise. Then I stamped the vellum overlay and inked the edge of the vellum with a little red ink. To adhere it down I used mini glue dots and covered them with gems. 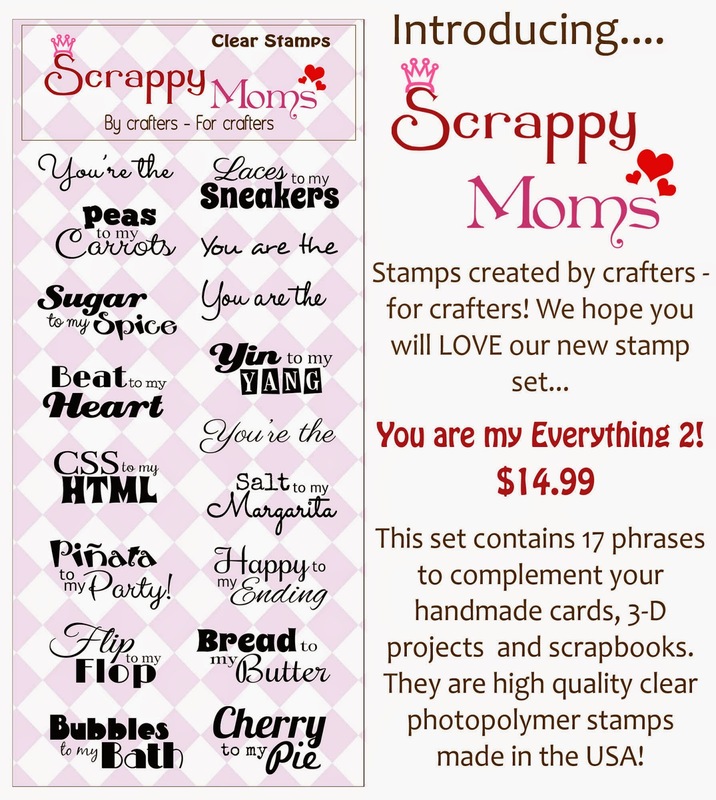 All of the fabulous Scrappy Moms Stamps DT, including our February Guest Designer - Debbie at DD Crafts, will have new projects all week using these 2 new sets. 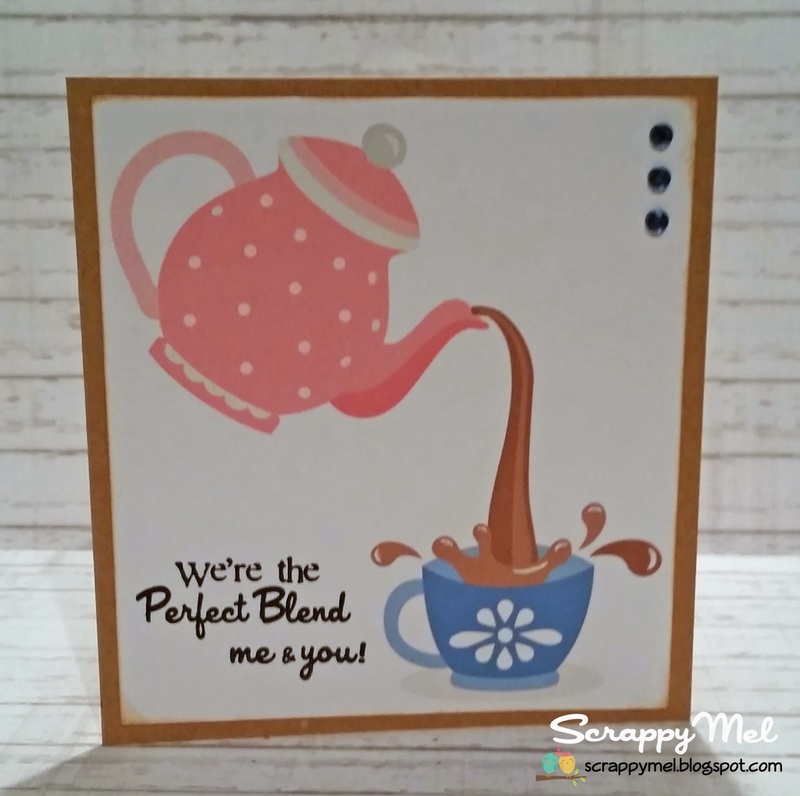 Thank you for stopping by today - I have a cute card to show you. 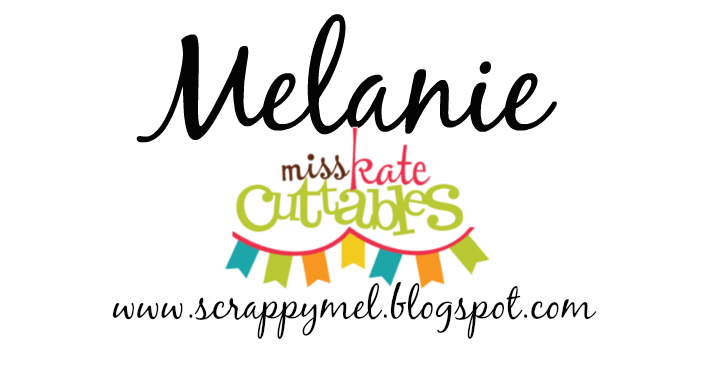 But, first - don't forget to stop by Miss Kate Cuttables for the Freebie of the day! Terrific Tuesday Challenge - We Belong Together! I thought of tea and this cute little pot/cup. :) This is the Pouring Tea Pot file from Miss Kate Cuttables. It would be so cute to cut but I have been feeling under the weather so I decided to print it instead. I added some Stickles on the splash and 3 gems along the top for a little bling. 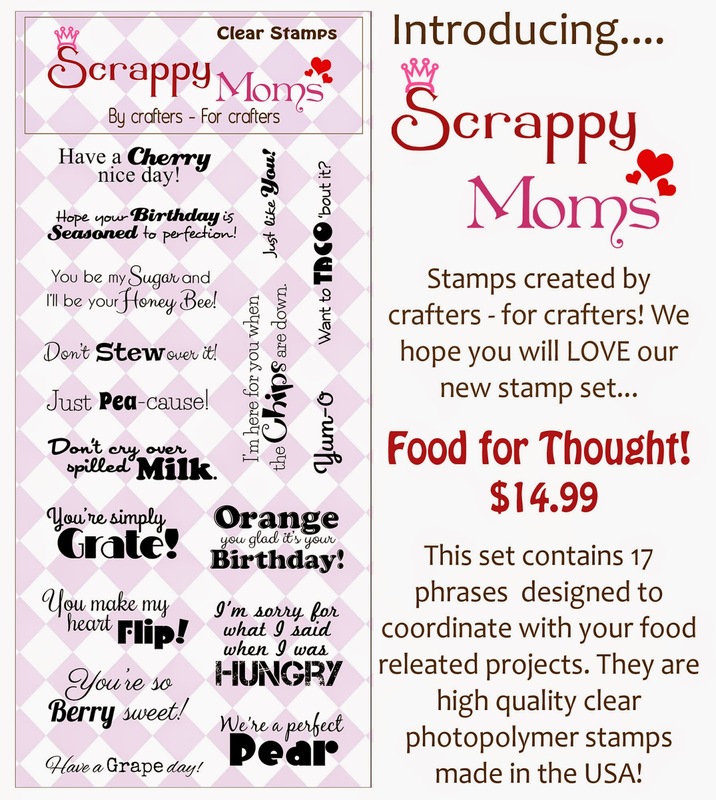 The sentiments are from Scrappy Moms Stamps Freshly Brewed stamp set. 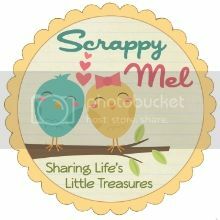 I hope that you will come play along with us and link up your project that includes things that belong together!